and he argues that not money is scarce, but natural resources. As in “debt”, Graeber shows that there are possibilities available to the administrative-academic monocultures which dominate the discussion about global warming. Instead, he opens up the discussion and translates the scientific consensus on climate change into a program of political activism. 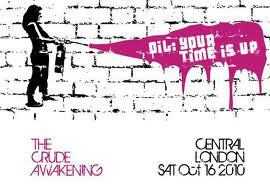 In the first part, Graeber reports about a secret action from a group called “Crudeawakening”, in which he embarks in London. They successfully manage to blockade for five hours the access road to a refinery which supplies 80% of all oil consumed in London. He makes the important step to establish a link between the climate crisis and the economic crisis, identifying capitalism as a potential suicidal enemy who even doesn’t believe in ist own success anymore: „ As a result, we are left in the bizarre situation where almost no one believes that capitalism is really a viable system any more, but neither can they even begin to imagine a different one. The war against the imagination is the only one the capitalists seem to have definitively won.“ That’s what he calls kamikaze capitalism. Those who preach hard work and austerity in the name of reason, they also talk about "invisible hands", "needs of markets" and other strange "phantoms of capitalism" . The "occupy movement" is for ages the first social movement that has inspired new thoughts about the way we live; from here, it is only a small step to have similar thoughts about the place where we live. David Graeber opens this door in his short and provocative article. So much for anthropology at Goldsmiths. Graeber's account of what happened at Le Havre is a fantasy invented to illustrate his worldview. The strikers were already occupying the refinery within an existing police cordon, so the police did not leap into action to keep workers and intellectuals apart. 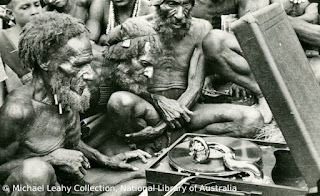 "So much for anthropology at Goldsmiths" - this is blogging at its worst. Please try to keep a minimum standard of education and respect. Thanks. Concerning your argument: I cannot read it from Graeber's article that there was no police cordon before. I only read that the police tried to keep environmentalists and workers apart. I have no idea whether this is true or not; it's just that I don't understand your argument. Werner, you're right. I was wrong to be so disrespectful. I'm sorry. I won't bother defending my 'argument'. Slight changes, yes, but what's wrong with it? the changes in the layout have been quite minor. For instance, the links that belong to the blog layout ( like 'comments', 'print this post') have a darker blue colour than the links that belong to the text itself. Also, some of the layout links appear now on the right side, whereas before they were all jammed below the post text. There is now a separating space between title and author name. I think that the reason why you find the general layout now more confusing is that our authors (ehem) are now posting big graphics at the start of the post, sometimes use different font size ( like this post), or display a long introductory paragraph before the 'read more' break. I guess this is the price of being several indisciplined authors :-) instead of just one author. Hannah, du må gerne skrive noget på Dansk. Faktisk har vi lige fra begyndelsen af Zwiebelen henvist at folk må gerne bruge alle slags sprog, som forstås i Hamborg. Bidrag på Svensk, Norsk og Dansk er meget velkommen. I want to learn to speak Werner, but it looks quite hard. I note that Graeber’s text did not attract much of a substantial comment. Maybe it is too taxing? Or too ideological and utopian for most people’s taste? It is worth discussion though. Not least because it makes some very questionable claims. Graeber says that it is wrong to assume that natural resources and money are similar in that both are scarce resources. He denies this and thinks any restrictions in bailing out states are misplaced. Now it is one thing to argue for well specified debt cancellation (or giving Greece lenient support). But it is another matter to deny the similarity of "money and oil". Both resources are related to our future possibilities to make use of them. In other words, natural resources and financial resources have to be addressed from a viewpoint of sustainability. All economic activity is future oriented and if economies keep accumulating debt it will pose a problem for future generations (or future governments). Not realizing this aspect allows him to delve into his pet political projects (situationist, anarchist) without realizing that there is a common theme to both the problem of depletion of natural resources and financial obligations. Societies need to find sustainable pathways in both. He knows that accumulating debt is not possible indefinitely. Eventually the system collapses and people revolt. His remedy, based on history, is to wipe the slate clean and press the reset button. No doubt, this has happened historically, on the level of single jurisdictions. Today this is a problem for the global economy and global financial markets. It is untried, rsiky, and above all, cannot be contemplated as a strategy because it would lead to a moral hazard problem of gigantic proportions. Imagine a global debt cancellation being seriously considered. This would have to be coordinated secretly (by whom? The IMF? World Bank? G8? G20?) which is impossible. It has to be secret because if you do it in an orderly process (say, like the introduction of the Euro), economic activity will stall since no one would want to commit to anything because the value of the transactions would be erased soon after. No one would lend because there is no prospect of being repaid (pretty much happening now but on a lower scale). So the conclusion seems to be that if global debt cancellation is to occur, it would be after a massive crisis (defaulting not only of Greece, but several other, bigger states with knock on effects to virtually all financial institutions) and public unrest. Not a prospect many would like to embrace. The challenge is to make our economies sustainable, which means to find ways to deal with the problem of economic growth. Simply advocating steady state economies is not a solution. The future needs to hold a promise, not only for capitalist investors, but for the young, the poor, the excluded. This is where I would locate avantgarde thinking. Reiner, again, thanks for commenting. Your consderations are worthwhile, of course, but have not much to do with Graeber's theory about debt. 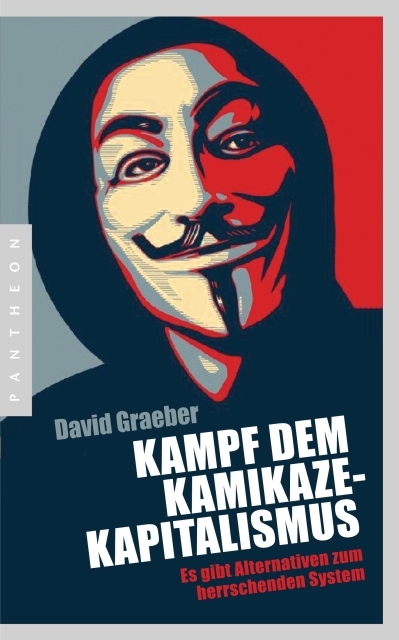 I think it is my own fault; I just put too much into my post to do justice to all aspects of David Graebner's arguments. Most of all, his book about debt is a philosophical book based on anthropology (and I have only read a 5th of it yet); he thinks about the nature of debt and what it means to say: "Surely one has to pay one's debts" - something most of us would spontaneously agree. "During the '70ies oil crisis, OPEC countries ended up pouring so much of their newfound riches into Western banks that the banks couldn't figure out where to invest the money; how Citibank and Chase therefore began sending agents around the world trying to convince Third World dictators and politicians to take out loans (....); how they started out at extremely low rates of interest that almost immediately skyrocketed to 20 percent or so due to tight U.S. money policies in the early '80ies; how, during the '80ies and '90ies, this led to the Third World debt crisis; how the IMF then stepped in to insist that, in order to obtain refinancing, poor countries would be obliged to abandon price supports on basic foodstuffs, or even policies of keeping strategic food reserves, and abandon free health care and free education; how all of this led to the collapse of all the most basic supports for some of the poorest and most vulnerable people on the earth. I spoke of poverty, of the looting of public resources, the collapse of societies, endemic violence, malnutrition, hopelessness, and broken lives." The IMF for him is the world's debt enforcers: "You might say the high equivalent of the guys who come to break your legs". He goes into more detail about his own fieldwork in Madagascar, where people were dying of malaria, because public health service had broken down due to the fact that the dictator was off with the money and the population left alone with the French debt enforcers and the respective cutting of public programs. Today, ironically or cynically, malaria is attributed to climate change. So Graeber is not that simple. In his final conclusion, again, he is not a strategical planner. He "only" undermines the common sense understanding of "one has to pay his debts" - in hundreds of examples. His book (and maybe activities) make simple stories (you have to pay your debts) more complex; most of all, he shows that there are alternatives in economy; there is not just ONE solution. For me, this is also one of the main messages of anthropology in general: there are always many different ways to deal with situations; everybody who claims that "the market", "science", "nature" or whatever leaves only one solution is suspicious. I have not read his book but listened to a BBC radio show recently. This is where I came across his debt cancellation argument. yes, of course, Graeber asks for debt cancellation, that's his agenda. Thanks for the link. I always wondered why there is not really a social movement concerning climate change. Now I learn that obviously, there is. 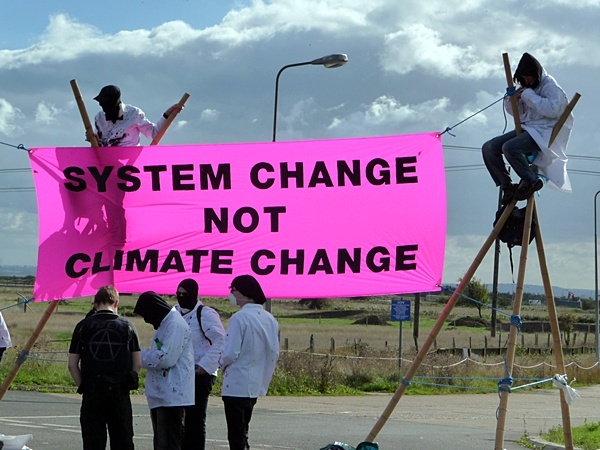 I want to learn more about climate camps, how they relate to the occupy people, and what they discuss and so on. I think it is indeed very much going on. And it is difference between scientific discussions, think tanks and social movements - one cannot measure them with the same categories. As far as I can see, the occupy movement was enormously successful without arguments; for a moment, it was their pure existence or the power of performance which made an impact on the discussion of global markets. 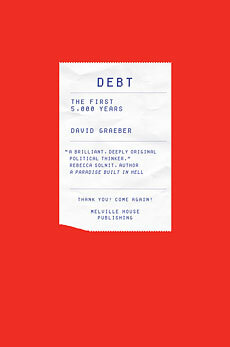 Of course, most of all I am interested in the anthropological impact on the movement, such as Gillian Tett (an anthropologist who writes for the Finacial times); or Karen Ho (who wrote "Liquidated: an ethnography of Wall street"), or here David Graeber and his study of "debt". They open up discourses in many ways, show up alternative perspectives and ways to think, challenge taken for granted ideas about economy and markets and, most of all, have an eye on those who have to pay the price. Based on empirical studies. I also see the problem that you mention concerning how the climate problem is still addressed, especially the uncritical use of science. 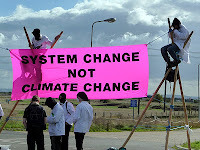 How to bring in what you suggest with the Kaya approach, or Ravetz ideas (who indeed have to be liberated from the grip of skeptics), or other non-positivist arguments for climate action. But on the other hand, they address the oil industry as part of the problem; challenge the idea of consumerism as a natural fact, and criticize global governance theories. Again, one should not only look for what they say; the performance aspect, the energy involved, the subcultural aspects are arguments, too. So for me, it is learning, observing and discussing simultaneously.